Some years ago, as the world was preparing to enter a new millennium, there was a list made up of the seven wonders of the modern world. This, of course, was meant to be a correlation with the seven wonder of the ancient world, which is fairly well known and consistent. 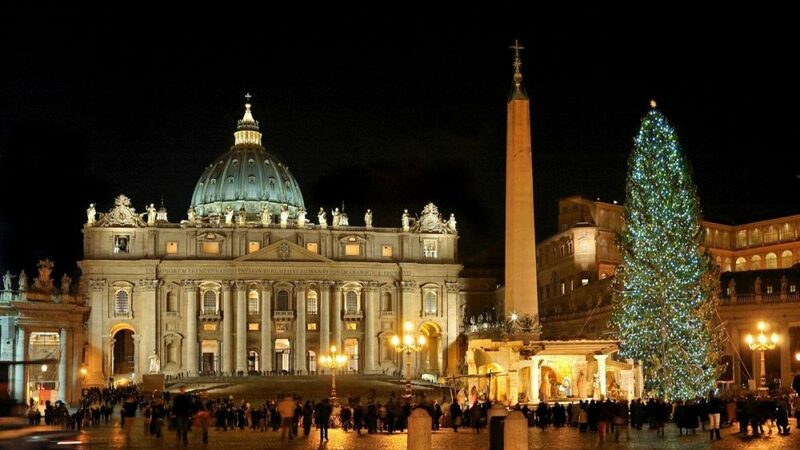 When the new list was unveiled, I was surprised to see what wasn’t on it, namely St. Peter’s Basilica in Rome. 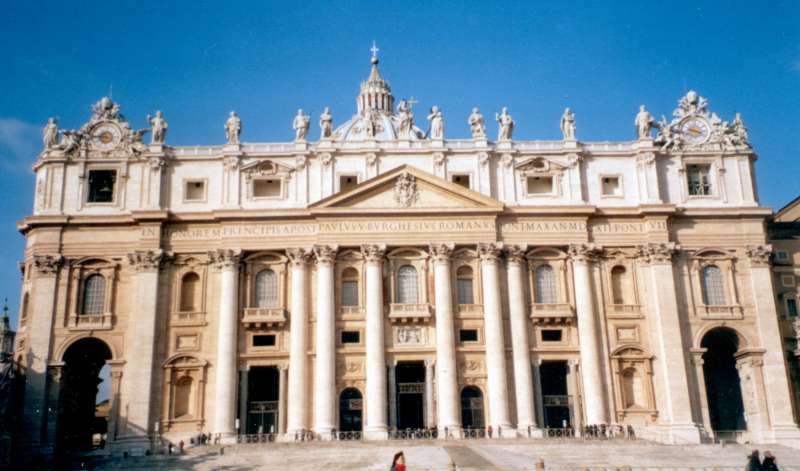 In fact, if you were to “google” the seven wonders of the modern world, you would find many different lists, and in my looking not a single one of the lists has St. Peter’s on it. 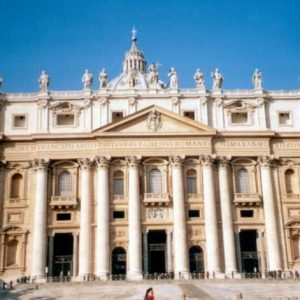 With this I conclude one of two things: either the people making the lists have a thing against the Catholic Church or they have never been to this church in Rome in the first place, which would mean they are not qualified to make such a list. 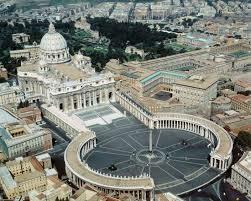 Let’s look at a few statistics: St. Peter’s covers 5.5 square acres of land. 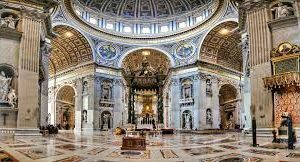 It took 120 years of continuous labor covering the span of 18 popes and 12 principal architects, one of whom was Michelangelo. There are 11 domes—the main dome so large that the Statue of Liberty can stand on itself three times and still fit inside—44 altars, 400 marble statues and one painting. Every other piece of art in the church looks to be a painting but is in fact an amazingly fine mosaic. Yet nothing I can say will do any justice to this marvel of human labor. One truly has to see it to believe it. And still it is not on any list for being a modern wonder. The point of all this is to have an opportunity to ponder the work it took to build such a structure. If it was 120 years of continuous labor, think of how many generations of careers it took to build it. We can assume the average life expectancy from 1506 to 1626 was substantially less than in our own day, so the working career must have been shorter, as well. 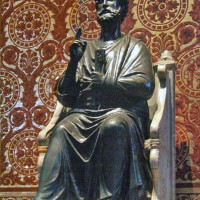 It is safe to surmise that thousands upon thousands of people spent their entire working careers building St. Peter’s Basilica, from regular laborers to architects and artists, not to mention the miners producing the stone for the building. All these people gave their entire lives to the service of the church so that every generation to follow could be awe-inspired and drawn into a deeper faith. Never have I led a tour through St. Peter’s when someone’s life wasn’t affected by the sheer grandeur and beauty of this sanctuary. 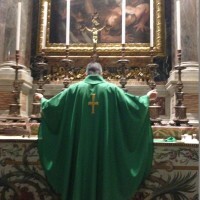 Not all of us can regularly go to St. Peter’s in Rome, but we all can participate in our own parish life, and I suspect that the majority of people reading this column are active in their own parishes. Think, then, of how much we get from Mother Church. Each time we come to Mass we are literally spiritually fed with the Bread of Life. When we need to say goodbye to a friend or loved one, we go to the church for an appropriate and beautiful funeral liturgy. We go to church to baptize our children, to confirm our youths and to marry the love of our life. And when things are going badly for us, many of us go to our parish to seek counsel from our priest or deacon. There is so much the church does for us at every stage of our lives. Here is a serious follow-up question: If the church is always there for us in our sacramental, spiritual and emotional needs—if the church does so much for us—what do we do for the church? St. Peter’s Basilica in Rome is a very good reminder of generation after generation of people who gave their whole lives to the church in building this structure to the glory of God. We are still reaping the spiritual benefits of their work, and many millions of people will continue to do so after we are gone. It is said 11 percent of a parish is active in the day-to-day faith life of their respective communities. I don’t mean to be negative, but I find that number a bit inflated. It may be more like five percent or even less. John F. Kennedy, in his inaugural speech, gave the famous challenge, “Ask not what your country can do for you, but ask what you can do for your country.” That challenge applies to the church as well. There are so many ways we could more fully participate in our own parishes and even Catholic groups. The more we enter into the daily life of the parish the more we will be spiritually fed, so even in giving we receive. It sounds like a great New Year’s resolution!